A Vietnamese professor has spent two decades of devotion bolstering the country’s approach to science and education by producing conferences attended by world-class scientists and founding a unique institution praised for its contributions to Vietnam’s development in several scientific fields. Tran Thanh Van, 84, is renowned for founding and maintaining Rencontres du Vietnam and the International Center for Interdisciplinary Science and Education (ICISE), located in Quy Nhon, the capital of Binh Dinh Province in south-central Vietnam. Van’s inspiration for Recontres du Vietnam came from the success of Rencontres de Moriond, a series of conferences he managed with two colleagues in France 1966. His goal when creating Rencontres du Vietnam in 1993 was to recreate the success of Recontres de Moriond in Vietnam by developing a similar series of international scientific conferences and workshops in the Southeast Asian Country. Using his own prestige, he set out to work recruiting participants from a pool of world-renowned scientists to participate in the first Rencontres du Vietnam conference at the defense ministry building in Hanoi. Of the notable attendees at the conference was Jack Steinberger, an American scientist who won the Nobel Prize in physics for his discovery of an elementary particle. The second Rencontres du Vietnam conference was held two years later in Ho Chi Chi Minh City’s iconic Independence Palace, where physicists enthusiastically shared research on the last building blocks of matter. “I dare say Vietnam is now leading the Southeast Asian region in fundamental physics research, including theoretical physics,” he told a local newspaper in the 1990s. Rencontres du Vietnam was Van’s own answer to the question. He hoped using it as a platform to connect with the Vietnamese scientific community abroad would allow the country to continue its scientific growth. “I saw in international physics journals that young Vietnamese physicists were working in many places, including Hanoi, Hue, Ho Chi Minh City, Moscow, Warsaw, Berlin, Geneva, Paris, New York, and Chicago,” he explained. Van said he and his wife, Le Kim Ngoc, traveled to seven major areas in central and south-central Vietnam to select a location to build a center for international scientific meetings and research. The couple chose a tranquil costal valley in suburban Quy Nhon as the home of the International Center for Interdisciplinary Science and Education (ICISE) with enthusiastic approval from the local government. It took nearly all of their life savings, but the couple eventually built their dream. “I told Professor Van than he can use as much land as he wants. The Binh Dinh administration was willing to satisfy his wishes,” Vu Hoang Ha, a former local government chairman recalled, adding that he spent several days showing Van and his wife the area. 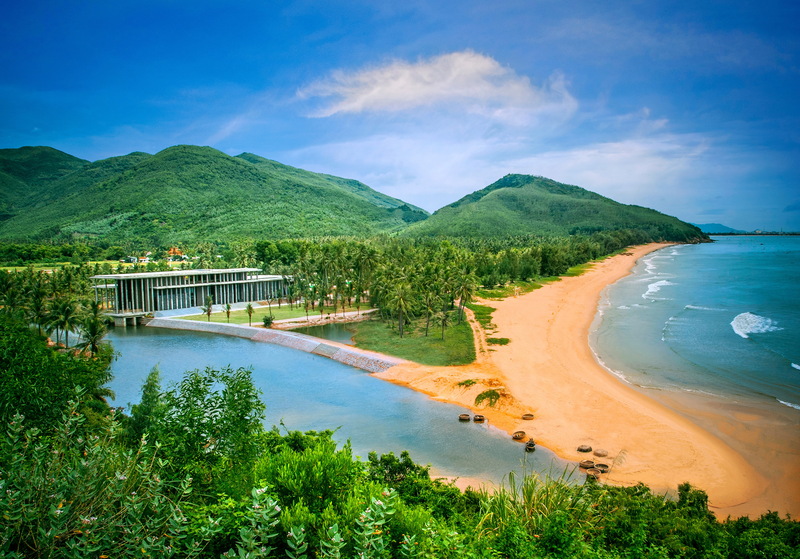 They eventually chose a 20-heactare plot and invited famed French architect Jean FranCois Milou to Quy Nhon to create a design for ICISE. The center hosted the 9th Recontres du Vietnam shortly after construction was completed in 2013. Four physicists who had already won Nobel prizes and a fifth who would go on to win a Nobel Prize in 2017 were in attendance. Since then, the center has organized 40 world-class international scientific conferences, hosted 16 thematic schools and received over 3,500 scientists from every corner of the globe including 12 Nobel laureates, two winners of the Fields Medal – also known as mathematicians’ Nobel Prize – and two professors awarded the Kavli Prize – an award honoring scientists for outstanding work in astrophysics, nanoscience and neuroscience. With such success, Van believes ICISE is on track to become the locus for domestic scientific and educational growth, where young Vietnamese scientists can acquire skills for international integration. In the same year as ICISE’s inauguration, Tran Thanh Van proposed creating the Quy Hoa Science Town in the area where the center is located. The suggestion was accepted by the local government two years later. “It’s my hope that in two or five decades, the Quy Hoa Science Town will have earned a reputation as the jewel in Vietnam’s science crown, the same way as the US city of Princeton, where Albert Einstein lived after leaving Germany, became known for science. I believe this is possible,” Van said. As the first step towards making the town become real, a number of structures that Van calls the ‘scientific space complex’ are being built. He hopes these buildings will pique the interest in science amongst younger Vietnamese generations. The complex features a planetarium, an observatory, and an exhibition of scientific discoveries. Ho Quoc Dung, the current local government chairman, said Quy Nhon City is special across Vietnam and even Southeast Asia in that it receives several international scientific meetings each year. 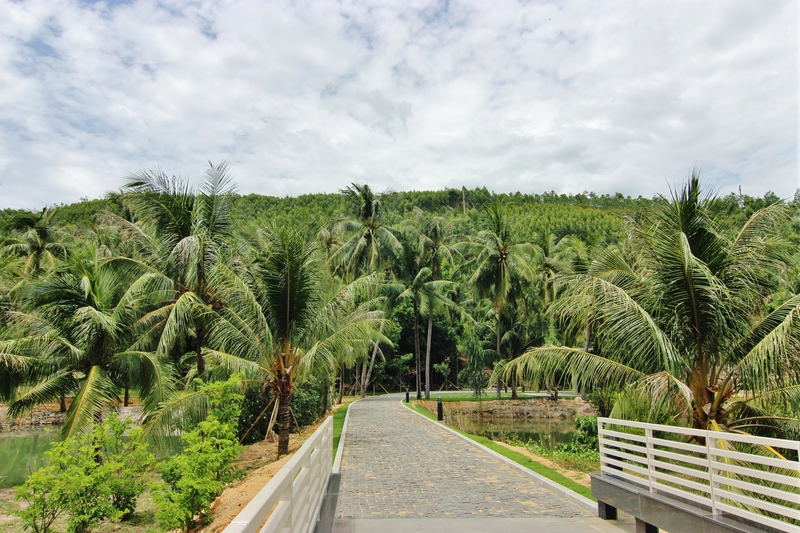 That advantage motivated the administration leaders to use a large amount of land for the Quy Hoa Science Town rather than for tourist resorts and hotels, Dung added. 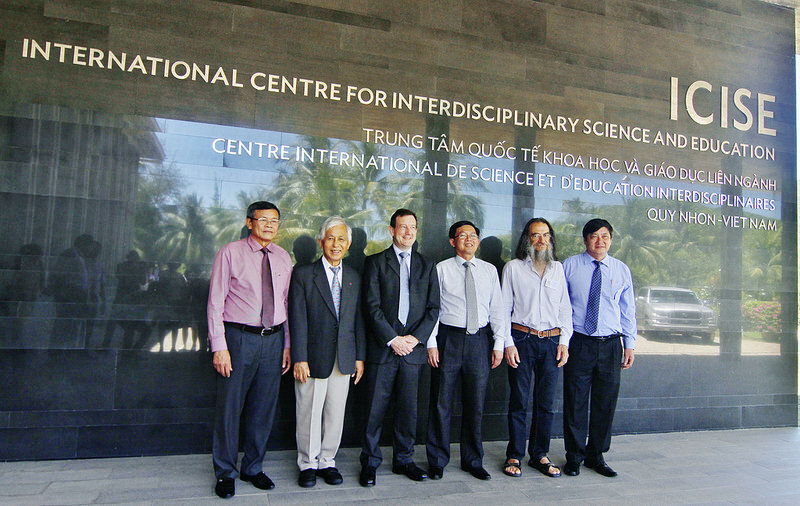 Dam Thanh Son, winner of the prestigious Dirac Medal in 2018 and an ICISE visitor, said he believes the center will help improve Vietnam’s science development. 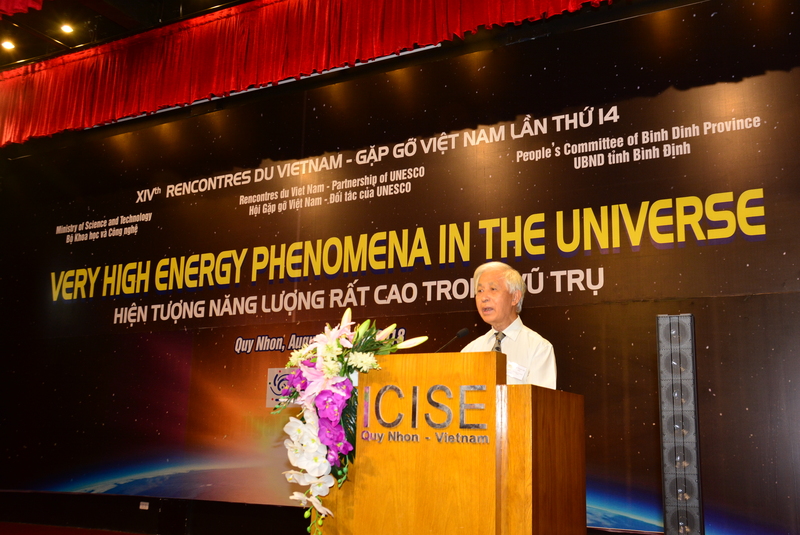 Nobel laureate Jerome Friedman, another physicist who visited ICISE, said the center will become Vietnam’s scientific center if the government continues its support. American particle physicist James Watson Cronin said at Rencontres du Vietnam in 2006 that with Vietnam’s growing population, comparable in size to Japan’s, France’s, and the U.K.’s, Vietnam should not avoid focusing on applied research at the expense of fundamental research as fundamental research is a major piece of modern culture.